You and your guest will be sure to have a blast in our photo booth. 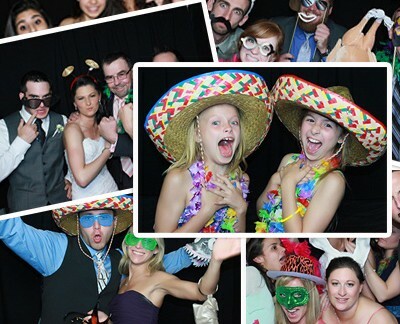 Our large photo booth allows for large groups, which means more fun. Our enclosed booth gives your guest privacy to they can make memorable candid photos that are fun and memorable. The screen inside the booth allows your to see your pose as the pictures are being taken. Because it is enclosed, it’s easier for your guest to open up to the camera and makes the photos so much more interesting than traditional photography and open booth concepts. Our photo booths are fun an enjoyable for any type of occasion. 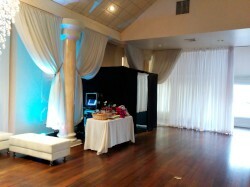 Corporate events, weddings, birthdays, sweet 16s, reunions are just some of the type of events we cover. Dates are booking up fast, book your photo booth today. We use the latest quality printers to provide you with high quality lasting photos that are lab quality and are available to your guest in seconds. After your event, we'll give you access to your password protected gallery to view your images, download, them or order re-prints. Your guest will be able to sign your scrapbook next to their pictures to add personalized touches that you can enjoy for many years. We assemble and decorate the book on-site as an option. We use professional Hi-Def DSLR digital cameras so you'll have the highest image quality. We also use professional daylight balance lighting so we'll make you look your best. We also provide a FREE DVD backup of all the images taken on the day of the event. You can use the DVD to do re-prints at your local print shop of needed. Your guest can go in as many times as they want for the rental duration. Great time to take candid photos with your friends, family, coworkers or by yourself. We'll custom design your logo or message at the bottom of the picture for free. We can put your name, date, slogan, or custom message at the bottom of each picture to personalize it to the occasion. Serving the Greater Boston area, surrounding communities, Southern New Hampshire, and Rhode Island. 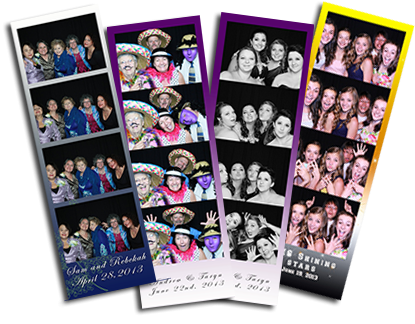 Photo booths have become a must have at weddings because they are so much fun for all ages. Photo booths produces some of the most fun candid photos because of they are enclosed and there is a screen inside the booth that allows you to see your pose before the shot is taken which allows people to open up to the camera more comfortably. It’s also a great party favor, your guest can take home with them to remember your event. Photo booths aren’t just for weddings, they are also great for school dances, proms, company parties, bar mitzvahs, bat mitzvahs, and reunions. Whatever the occasion, a photo booth will be sure to be a big hit at your event. We do lots of weddings and birthdays but we also provide photo booths to many corporate parties, below are just a few wonderful companies who have hired us.